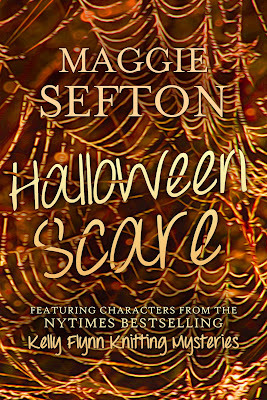 Cozy Chicks: SPOTLIGHT on---"Halloween Scare"
This weekend I want to Spotlight my E-short (that's what I call short, short stories available on Ebooks). "Halloween Scare" is a fun short adventure with the cast and characters of the Kelly Flynn Mysteries. It takes place right during Halloween Season and is set entirely at the Lambspun knitting and fiber shop. And---there's even a spooky basement in the old-fashioned, below the earth basement at the shop. The Lambspun house was actually built in the 1930's, and yes---the basement really is slightly scary. Trust me, I've been down there. That's where the real-life owner Shirley (Mimi inspiration) hand dyes those gorgeous natural fibers. Absolutely stunning colors. 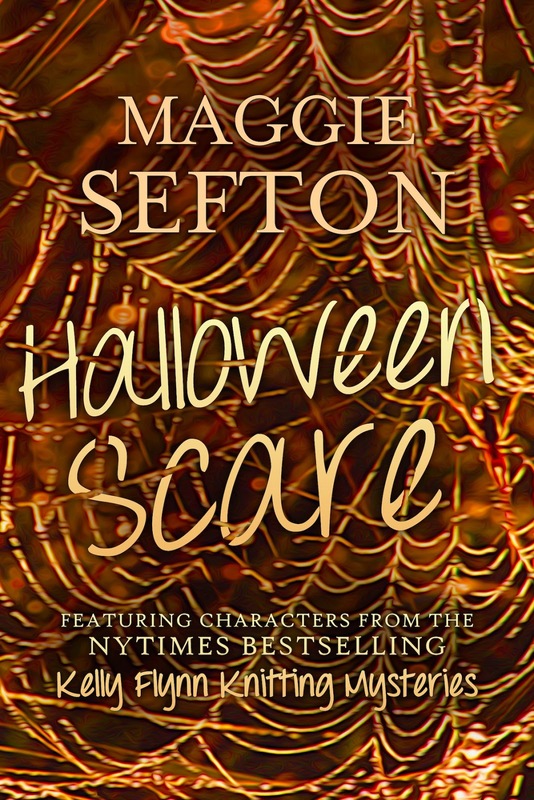 So----check out "Halloween Scare" and make it a Spooky October.